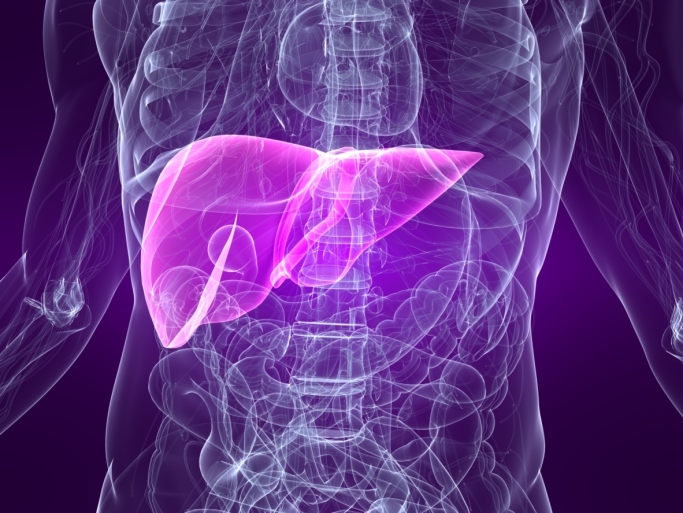 The kinase inhibitor regorafenib conferred improved overall survival in patients with unresectable hepatocellular carcinoma (HCC). Researchers enrolled approximately 573 patients and randomly assigned them 2:1 to receive either regorafenib 160 mg once daily for 21 days of each 28-day cycle plus best supportive care, or placebo plus best supportive care. Patients in the regorafenib arm had a median overall survival of 10.6 months, compared with 7.8 months for placebo (hazard ratio, 0.62; 95% CI, 0.50-0.78; P < .001). Median progression-free survival was 3.1 months with regorafenib versus 1.5 months with placebo (hazard ratio, 0.46; 95% CI, 0.37-0.56; P < .001). Median time to progression was 3.2 months versus 1.5 months, respectively (hazard ratio, 0.44; 95% CI, 0.36-0.55; P < .001). The overall response rate was 10.6% with the kinase inhibitor and 4.1% with placebo (P = .005). The most common grade 3 or higher treatment-emergent adverse events occurring more frequently with regorafenib were hypertension, hood-foot skin reaction, fatigue, and diarrhea. Safety and tolerability were mostly consistent with previously reported data. The findings will be presented during the European Society of Medical Oncology (ESMO) 18th World Congress on Gastroinestinal Cancer in Barcelona, Spain. Phase III data show Bayer’s Stivarga® (regorafenib) improved overall survival in previously treated patients with unresectable liver cancer [news release]. Whippany, NJ: Bayer; June 28, 2016. http://www.prnewswire.com/news-releases/phase-iii-data-show-bayers-stivarga-regorafenib-improved-overall-survival-in-previously-treated-patients-with-unresectable-liver-cancer-300291238.html. June 29, 2016.